A 70 year old female presents to the emergency department with central abdominal pain and one episode of vomiting. Her vital signs are stable, but she appears uncomfortable. The images demonstrate dilated loops of bowel and alternating peristalsis (a ‘to and fro movements’ of bowel contents). This confirms your suspicion for a small bowel obstruction (SBO). Bedside ultrasound is a useful tool in evaluating any patient with abdominal pain, and has shown to be more sensitive and more specific than abdominal xray in diagnosing SBO1. Additional advantages of ultrasound include lack of radiation to the patient, bedside availability and potential to improve ED flow2. Treatments, such as nasogastric tube insertion, and early consultation to general surgery can be expedited by rapid identification. 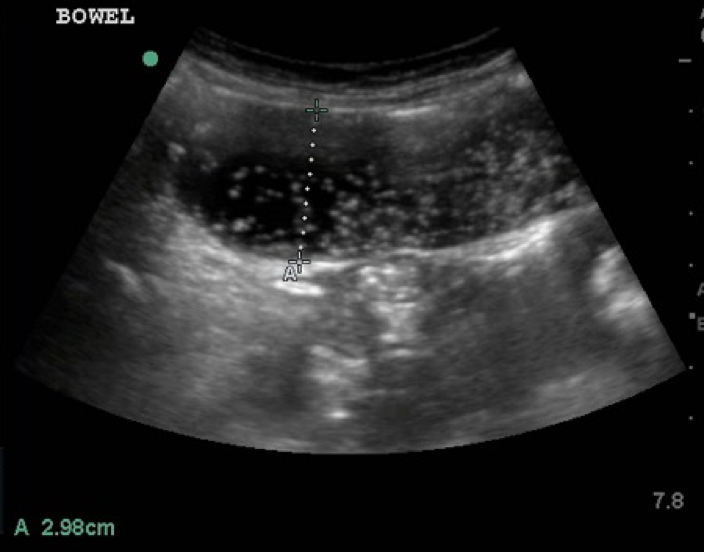 In individuals with recurrent sub-acute SBO, PoCUS may become the investigation of choice, reducing radiation exposure for this group of patients. 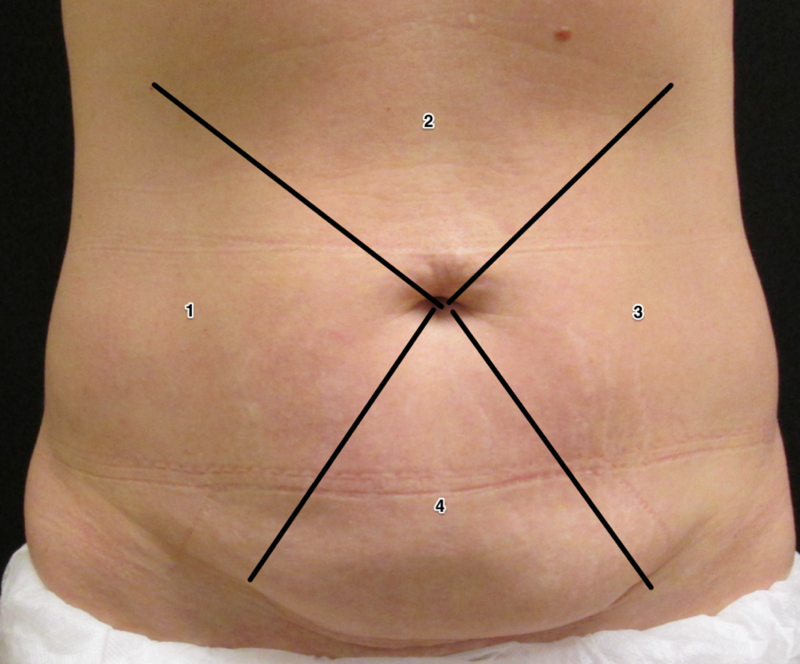 Multiple regions of the abdomen should be assessed, including the epigastrium, bilateral colic gutters, and suprapubic regions2. (Image 2). Jang, Timothy B. Schindler, Danielle. Kaji, Amy H. Bedside ultrasonography for the detection of small bowel obstruction in the emergency department. Emerg Med J 2011 28:676-678.